If they decided to skip the glass wouldn’t they at least do some scrim? I certainly hope that garage does something. It looks hideous right now! That's a relief! At ground level, up close, I think it looks pretty good. Just add the glass and that small office component on the end, and this isn't too bad. The crane was going up today, they worked on it all day but don't know how far they got. The crane was still going up late today, maybe they will be done tomorrow. Can't wait to see this start to go up. 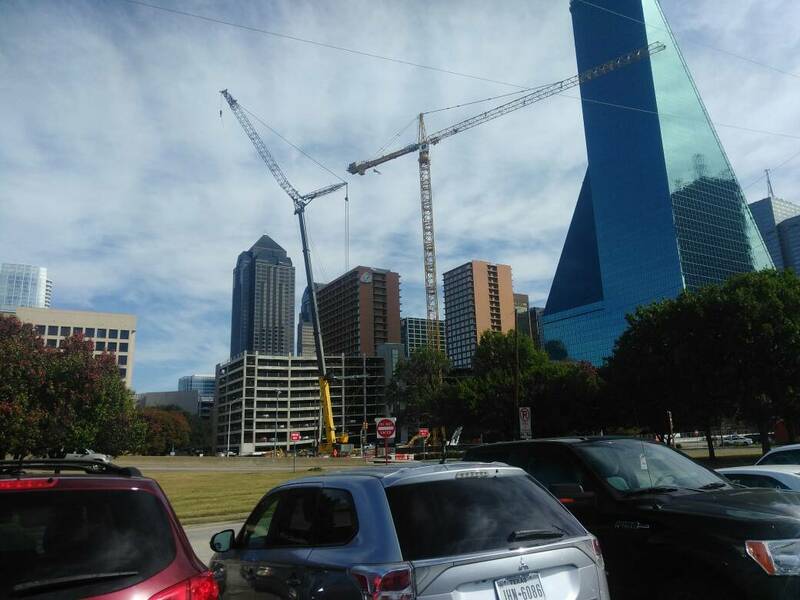 The tower crane is, in fact, up. There is the glass we have been looking for. 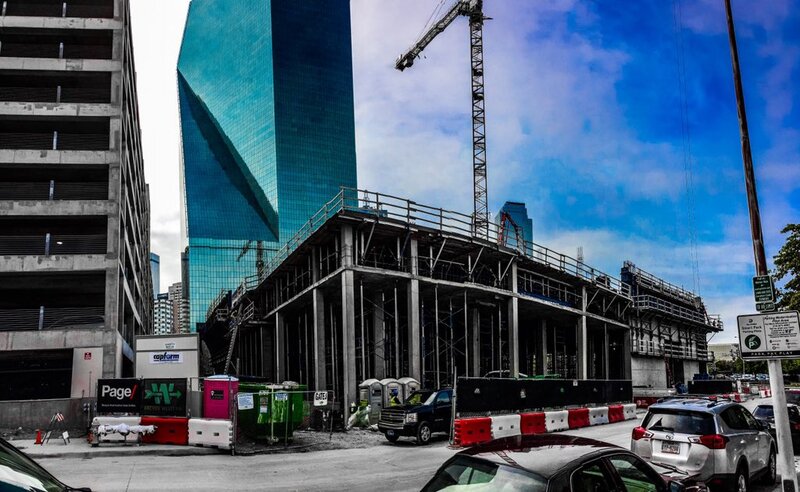 AMLI started going vertical, first columns got formed today, looks like a ramp going up into the future garage. From the Perot Museum on Saturday. Anyone know what's up with that parking garage? Why is it taking them so long to finish it? Tucy wrote: Anyone know what's up with that parking garage? Why is it taking them so long to finish it? 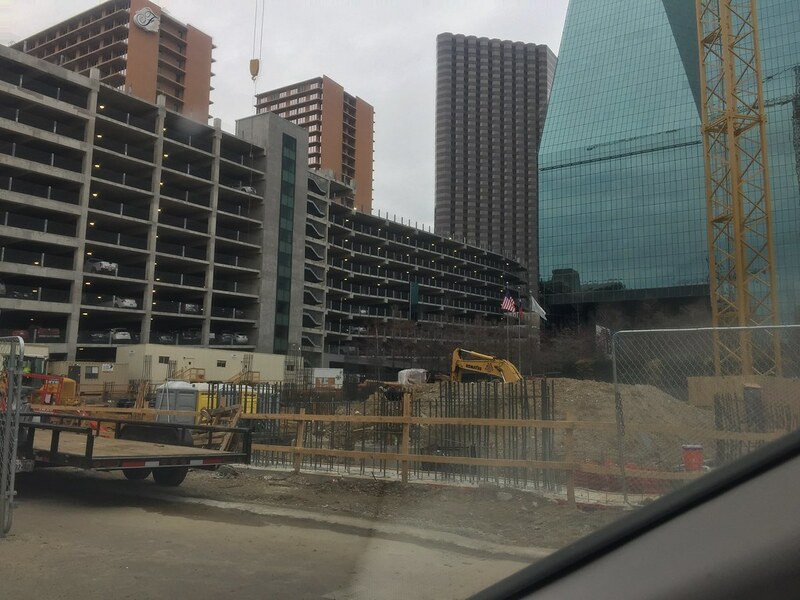 The only thing I can think of is that they are going to wait until they start placing glass on the tower before they put glass on the garage too, I have noticed that they have equipment and construction offices right up to the edge of the garage. But aren't they entirely separate projects by different owners? You were a man about town today! Thanks for posting! Iv'e been wondering what that hole is in the middle of the site. Thanks for the pics! 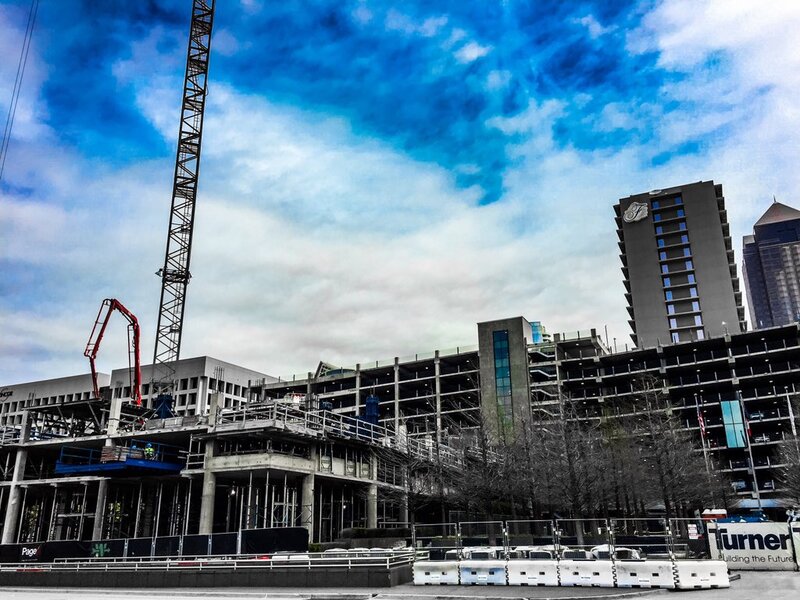 To me, this is one of the most exciting projects in years in Dallas. The height, the homage to Fountain Place, and its place in the skyline are significant. Can’t wait to see it rise, and hopefully the Hillwood Tower next door after that. Please God in Heaven I pray they build the cylindrical tower next to this beauty. Both are absolutely fabulous additions to our beloved famous skyline. Thanks for the photos! I am so EXCITED about this building. I love when folks post pictures. Thanks so much! Chris Sapphire wrote: I am so EXCITED about this building. I love when folks post pictures. Thanks so much! Me not so much... Field street is such a mess... 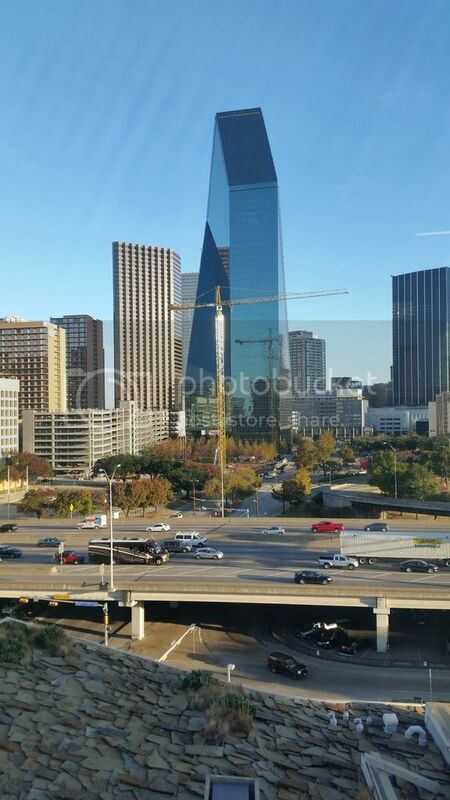 I have a feeling this building will be another Dallas High Rise that is awkwardly oriented with the street. Field needs a road diet. Last plan I saw the city is playing the idea of simplifying Field street. I want to warn you though it's not going to change much because it's a major access road and TXDOT and the city accept that. They want to make changes to make it less of a safety hazard and permit better pedestrian crossing but it will remain a very active access point. Honestly, I agree with their plans. A road diet isn't exactly the phrase I would use either. More of a nip and tuck. 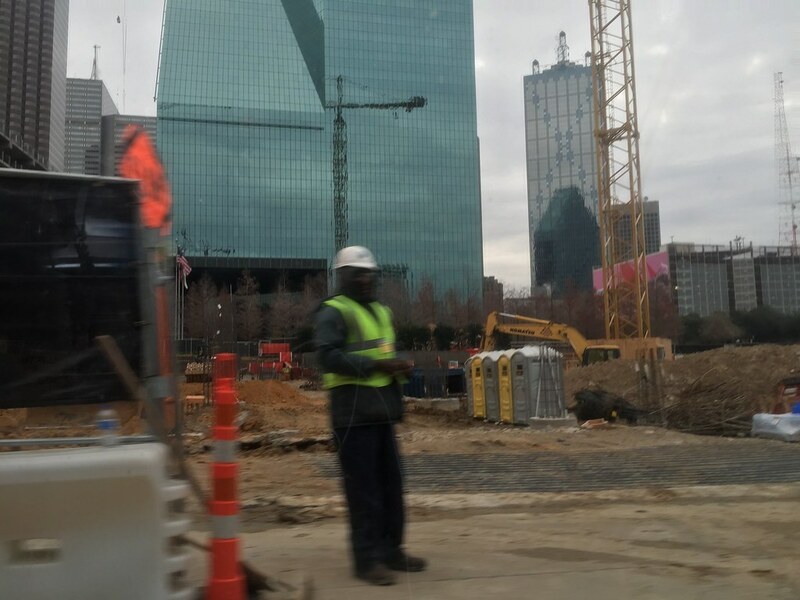 clcrash19 wrote: So this building will be almost the exact same height at museum tower correct? 2 feet taller than CityPlace Tower as well. cowboyeagle05 wrote: Last plan I saw the city is playing the idea of simplifying Field street. I want to warn you though it's not going to change much because it's a major access road and TXDOT and the city accept that. They want to make changes to make it less of a safety hazard and permit better pedestrian crossing but it will remain a very active access point. Honestly, I agree with their plans. A road diet isn't exactly the phrase I would use either. More of a nip and tuck. So if that happens, will the only eastbound access be the Pearl (/Olive) exit? I suppose. But nothing is set in stone. Yeah, the 360 plan is an agreed upon guide but rarely seems no more than a pretty picture in most cases. The city staff is supposed to use it as a guide for development and guide future priority projects but someone like a council member has to push such projects forward. I doubt private development would be for removing the ramps they would simply support efforts of beautification of the existing design or modifications but not removal. That second level garage floors look tiny compared to the first lobby floor. Such a wonderful project! I love it. Good to see some glass on that garage... even if it's just four panes, so far. ^Its the sample that's been up for a while now. 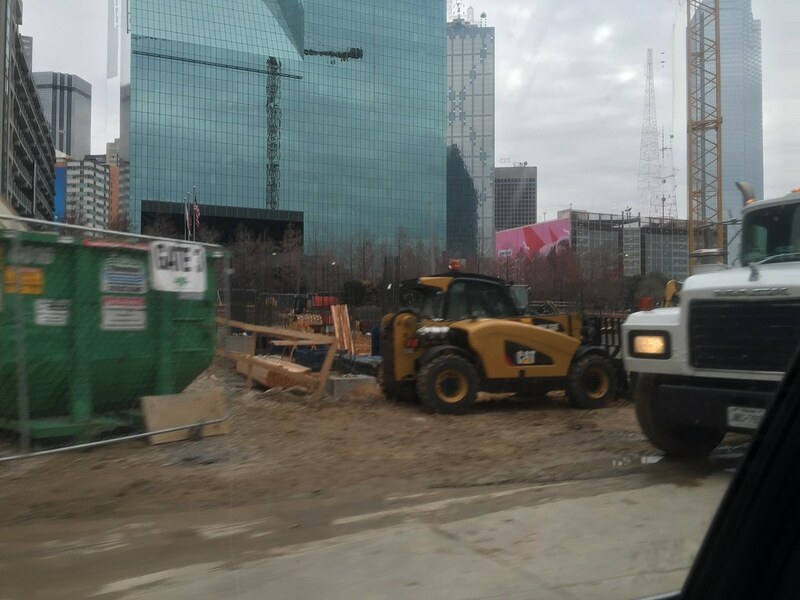 I assume the glass for the residential and the garage will go up at the same time at this point. Is this true? Taller than Museum tower? Chicago-based developer AMLI Residential is building a 45-story apartment on Field Street that will be downtown's tallest high-rise in almost 30 years. Tnexster wrote: Is this true? Taller than Museum tower? 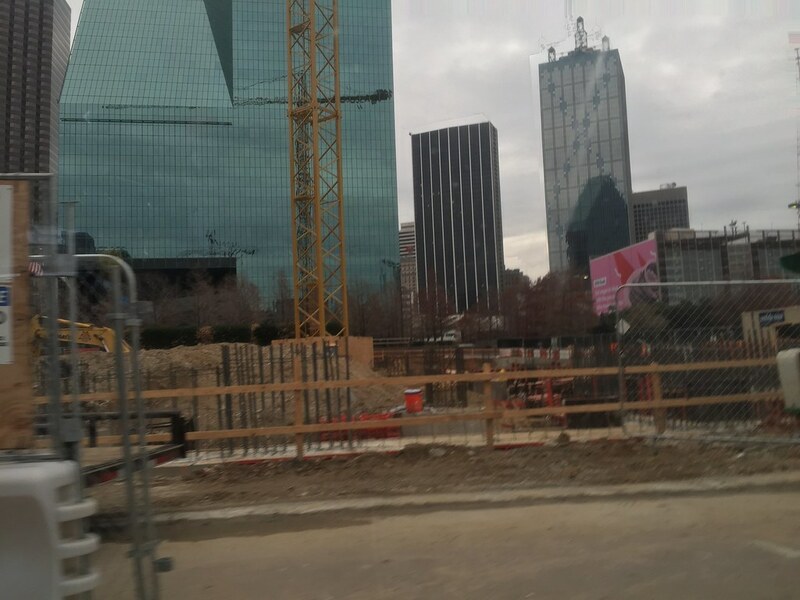 If the 562 feet in the thread title is correct fo this building, and if Emporis is correct for Museum Tower, AMLI Fountain Place will be 2 feet taller than Museum Tower. This tower will have 46 floors and a large design element on top. How is it only 2 feet taller than Museum tower? R1070 wrote: This tower will have 46 floors and a large design element on top. How is it only 2 feet taller than Museum tower? 2) Museum Tower has a pretty large design element on top too. Last edited by Tucy on 22 Apr 2018 17:00, edited 1 time in total. ah, yea. that makes sense.